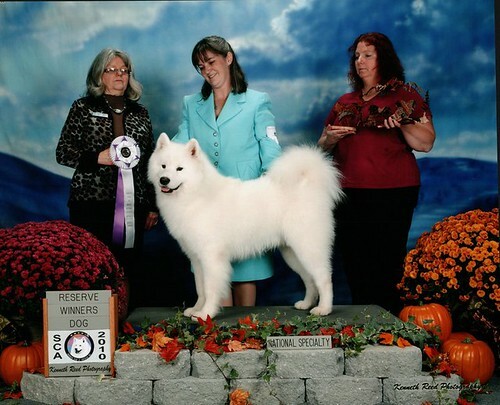 I simply must show you this picture of Mater from the Nationals in Tennessee where he won Reserve Winners Dog! Mater will be a half brother to my baby, and I am a little bit in love with him. I can only hope my baby will look (and have a temperament) a lot like him. I think this is an absolutely awesome picture! Double Helix Tractor Tipping "Mater"
Double Helix Lizzie Blizzard "Blizzie"